Great location to explore the coast of NB. The park is walking distance to a very nice beach. The park has one section for long term residents and another for the short term visitors. The sites are backin and gravel with a picnic table and grass surrounding the site. They offer a nice pool and the standard amenities. The checkin staff was prepared and easy to work with. The downside was that the wifi was marginal at best. We would stay here again if visiting the area in the future. See our updates, reviews and pictures at our blog at thegilliamsisland. 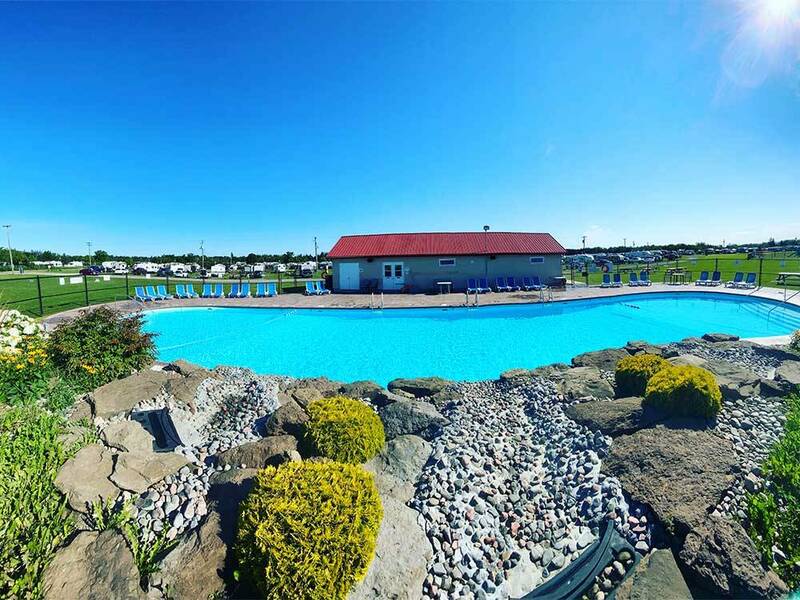 While this park is very large with mostly seasonal campers, the staff are so friendly and helpful, the park is very clean, and the new pool with washroom facilities was excellent. The ocean is about a 5 minute walk and that is better than paying the fee to take your vehicle into the park and then still having to walk from the lot to the beach. Ice and firewood are available for purchase but there is not a store on site. It is about a 10 minute walk or a very short drive to the nearest store. This campground is located on the outskirts of the town of Shediac and there is lots to do there and some great seafood. This is a huge parking lot. Mostly seasonal pre-fab and trailers. It is like 20 football fields with no charm - only grass with gravel roads. There is NO ocean to see or hear at this place. It deserves only a two star revue. I did not check out the restrooms or showers.